CrowdFarm is a mobile app designed to connect small farmers to potential buyers. Buyers can range from chefs, to restaurants, to even chain supermarkets. The app supports user registration and each farmer will have their own account. 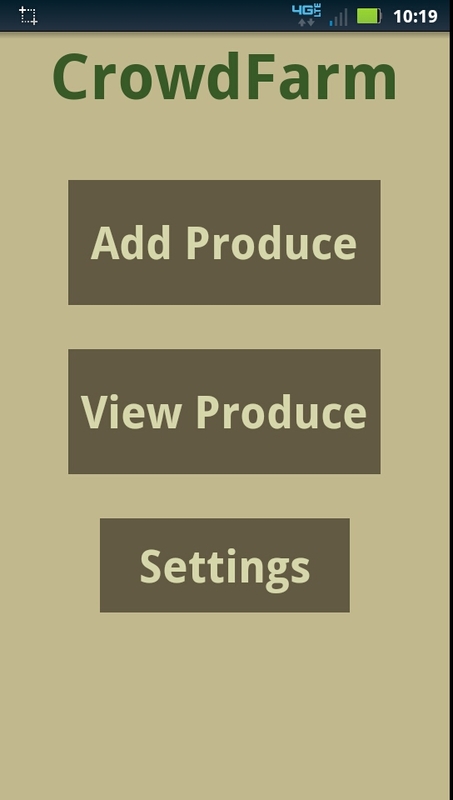 After logging in, the farmer will be allowed to upload the produce they have available along with information about how long it will be fresh, how much produce there is, and how much it will cost. 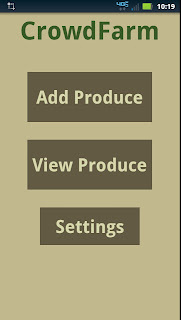 Farmers can also view, edit, or delete the produce that they upload using easy to fill out forms. There is still plenty of work to be done on the CrowdFarm project. The app that buyers use has not been created, and the farmers app does make use of the notification system that is currently being built. The app could also use some detailed examination by a member of the farming community. Some of the terminology doesn't line up exactly and there are some places where the produce upload process could be streamlined by creating a personal template for each farmer. Interested readers can download the source code at GitHub.